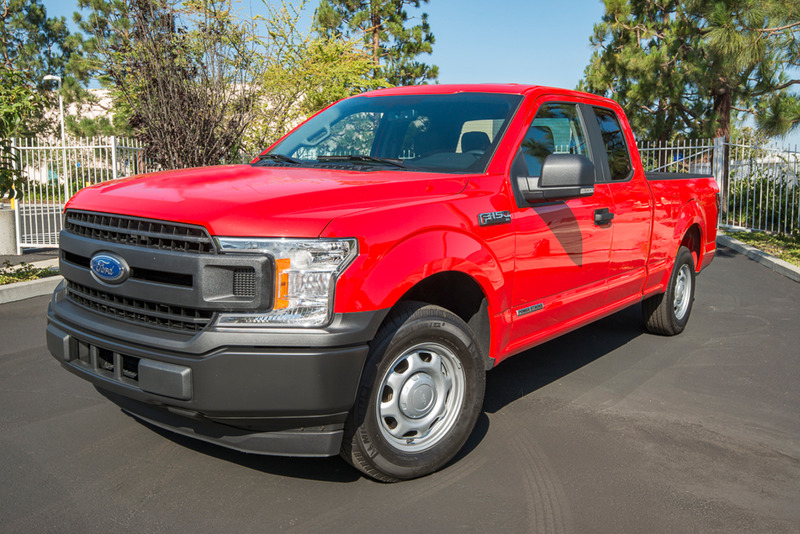 Ford has added a turbodiesel engine to its 2018 F-150 lineup (XL trim shown) to provide half-ton pickup buyers greater towing capability (up to 11,400 pounds). The high-torque (440 lb.-ft.) pickup also provides excellent fuel efficiency (30 mpg on the highway for the rear-wheel model). The truck efficiently delivers all that power through a 10-speed automatic transmission that has been specifically calibrated for it. Read our driving impressions. Photos by Kelly Bracken.